Description: 6-9.5 in. (15.2-24.1 cm) Six-lined racerunners have six light stripes that can be yellow, white, pale gray, or pale blue. 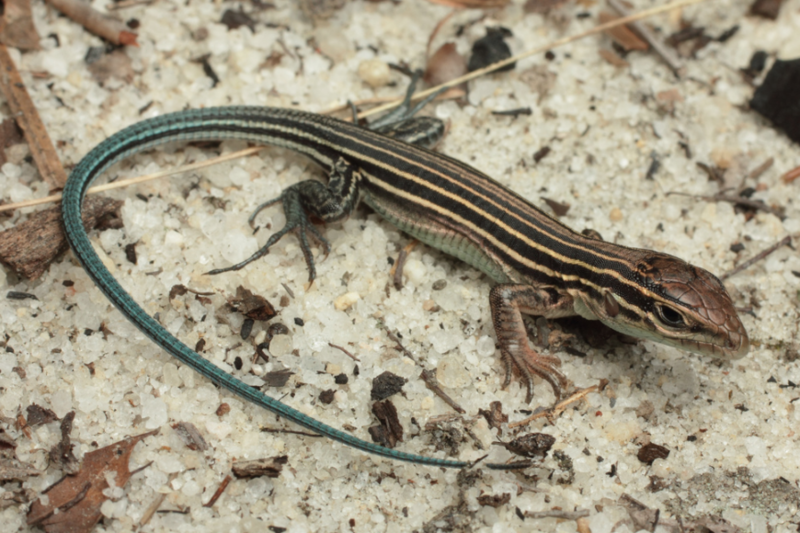 Males have well defined stripes and a blue belly. Young are patterned similarly to adults. 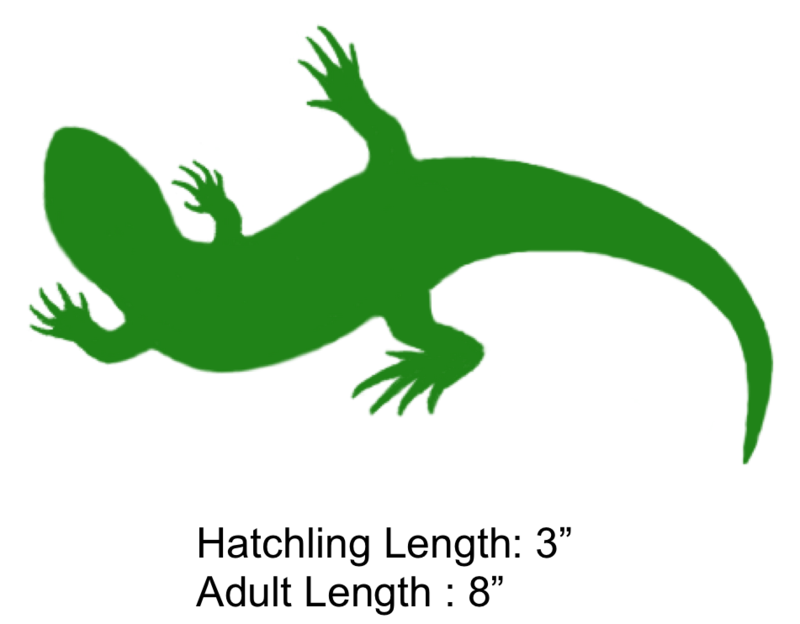 Feeding/Diet: They usually eat insects and other arthropods. Habitat/Range: Racerunners occur in most of North Carolina and are locally common in much of the Piedmont and the central and southern Coastal Plain. 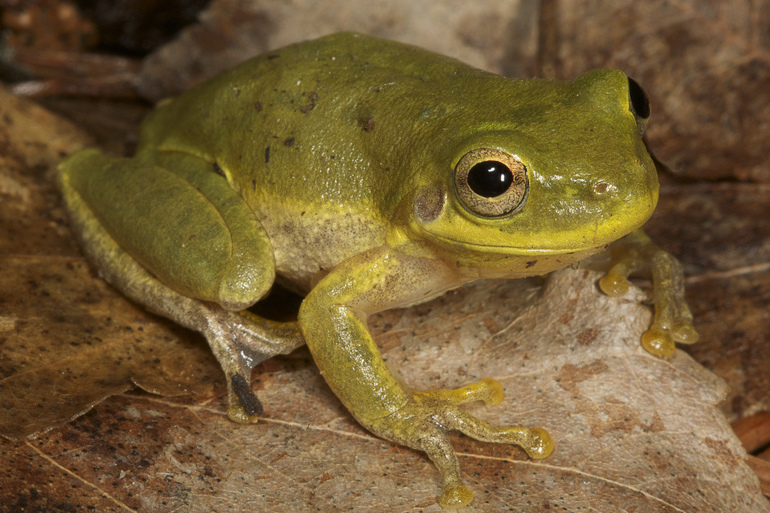 They are usually found in open, well-drained areas, places covered with sand or loose soil, fields, open woods, thickets, rocky outcrops, or river floodplains. 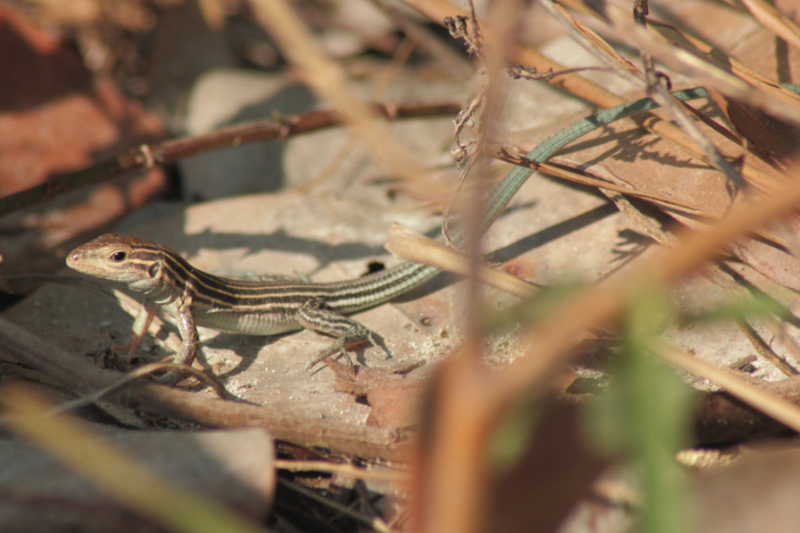 Unlike skinks and anoles, racerunners are almost always found on the ground and never climb high into trees. Reproduction: Females lay 2 to 4 eggs per clutch at shallow depths in soil, rotten wood, or similar material. Sawdust piles are favorite nesting sites for this species. Most clutches are laid in May and June and hatchlings appear from late June until early September. Miscellaneous: This species is usually active in very warm or hot weather. They are also very bold, but when pursued, they take refuge in vegetation, under boards or stones, or in burrows. They got their name because they usually win the race against the would-be collector. 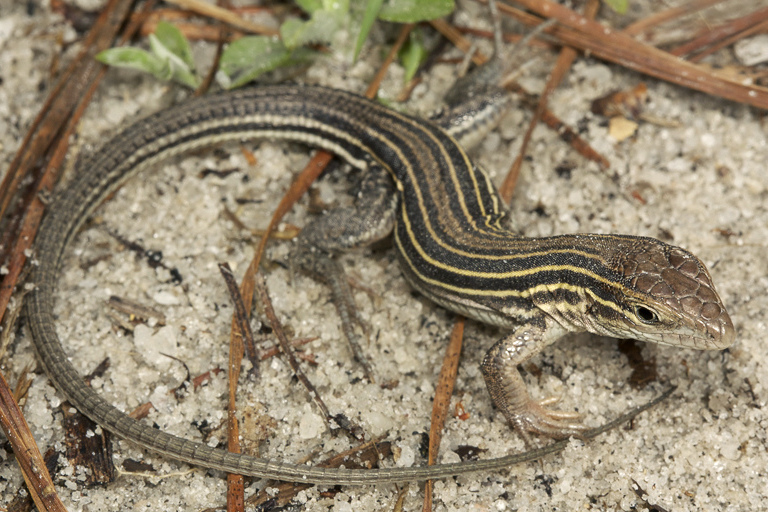 The shaded region represents the range of the Six-Lined Racerunner in North Carolina.